Glad to hear you are getting better! I loveeeeeeee these! GORGEOUS!!!!!!!!!!!!!!!! 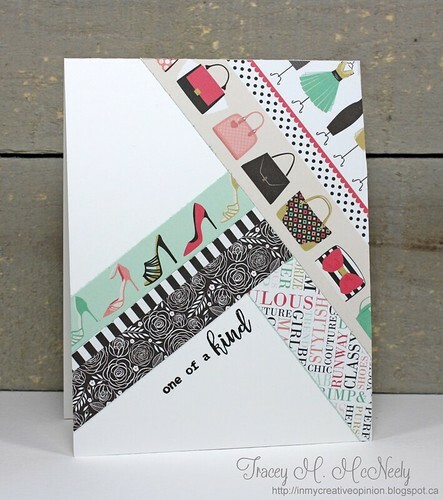 Fabulous kit, and your cards are tres magnifique, my friend! 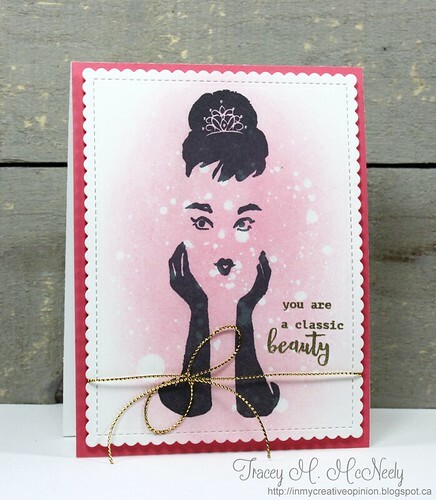 LOve the bit of blush you've added to Ms. Hepburn - and thanks, Tracey, I've always loved that stamp, and this was my first opportunity to use her! Happiest New Year to you and James ... I'm hoping to see your smiling face in the year to come, and a well healed YOU! Wow Tracey~ These are all amazing! What a darling kit you've put together. It was so much fun making such beautiful feminine cards. Thank you! I'm glad to hear such a good update on your healing process. I hope 2018 brings you much strength and healing and many, many blessings! Ahhh..these are so fun Tracey! This kit is adorable with a capital A. So much fun to see all the gorgeous creations. Here's to 2018 being a year of healing for you and that you feel back to 100% very soon. Love you my friend! Wow..... six amazing, beautiful cards! Love how you've incorporated the two sketches, the shimmering gown and Audrey's subtle pink wash! Many thanks for such a lovely kit - so full of pretty patterns and color! Wishing you continued healing and much health and happiness in 2018!! P.S. 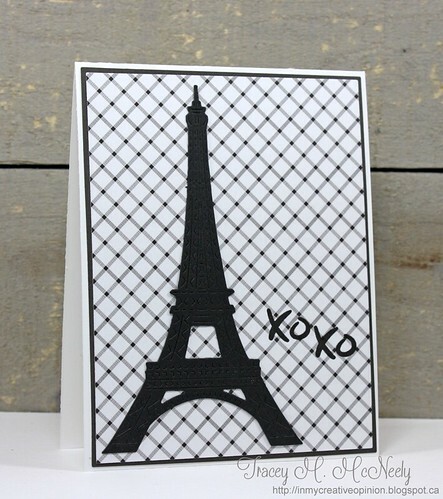 Can you please tell us/me where the scalloped/stitched bg on the Audrey card is from? Oh Tracey I love everything you did with your kit! Love the cards you made for the challenges and what a fun way to show some of that beautiful paper! I had so much fun with your kit and the beautiful papers! So happy to hear you are on the mend. I saw how much pain my grandson was in when he first broke his. Happy New Year sweet friend! Tracey, these are all wonderful! A fabulous kit Tracey! Wonderful cards...have a happy new year! 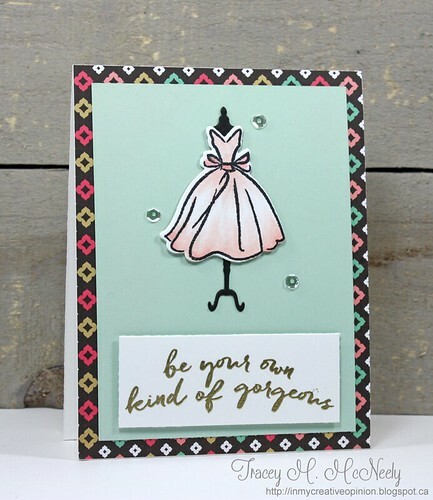 Love the fashionista theme of your cards! Each one is so clever and creative. Glad to hear you're feeling a bit better. I hope that 2018 will see you completely healed and back to your old self. Happy new year!! 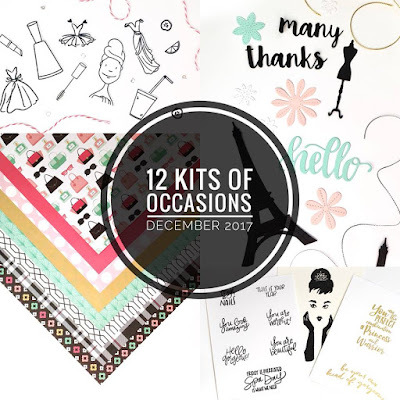 Thank you so much for such a fun girly kit to work with this month! I'm happy to know you're healing and able to get crafty again. You know I miss you when you're not around blogland! Now about your cards...LOVE them all! I am especially fond of what you did with the lovely Miss Katherine. I was afraid to add any color to her, didn't want to screw it up LOL!! The mirror you created for your spa day lady is fun. Wishing you a Happy New Year friend filled with health and blessings! Tracey, I loved your charming kit and your cards show it off so well. And how wonderful that you used the two sketch challenges too. 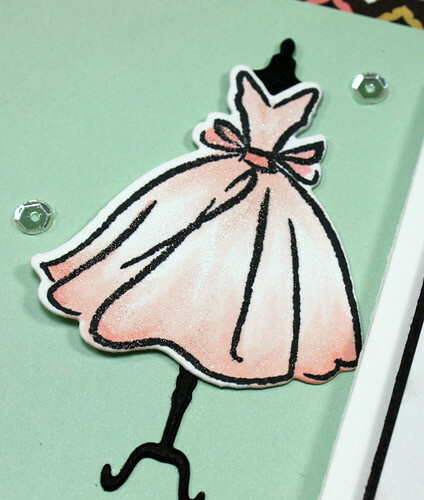 The Audrey image looks stunning with a pink blush and I adore the soft pink dress! Every card is truly gorgeous! Thank you so much for the wonderful kit! Glad you are getting better and hope you are feeling back to normal soon. Wishing you and your family a very happy and blessed 2018! Your cards are AMAZING!!! Thank you for sharing!! What a fabulous kit!! 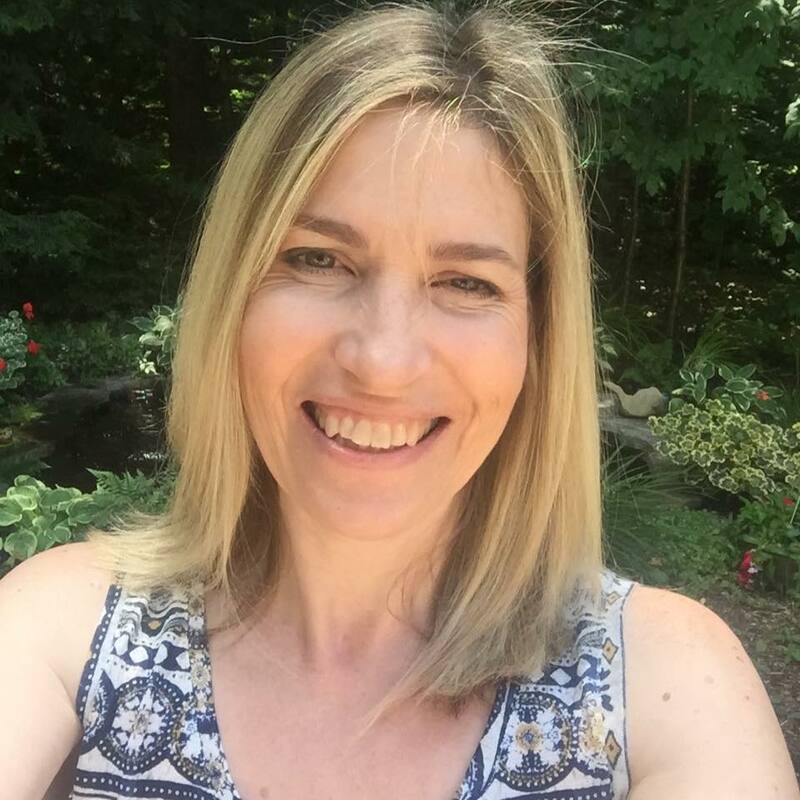 I adore all your projects that you created!!! Happy New Year!! 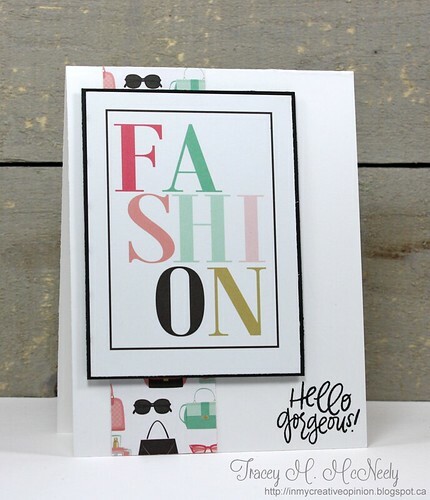 Simply fabulous cards Miss Tracey...so loved your fashion forward kit! Would love to have some fabric to match too. Your cards are amazing, just love all your wonderful details. But your Audrey card is a knock out, a true beauty! And those dresses, they are just gorgeous, hoping to play with these in April too! Thank you so much for an amazing kit. Happy New Year! Tracey, this kit was so fun! Thank you! I love the colors and papers and uniqueness of the theme. 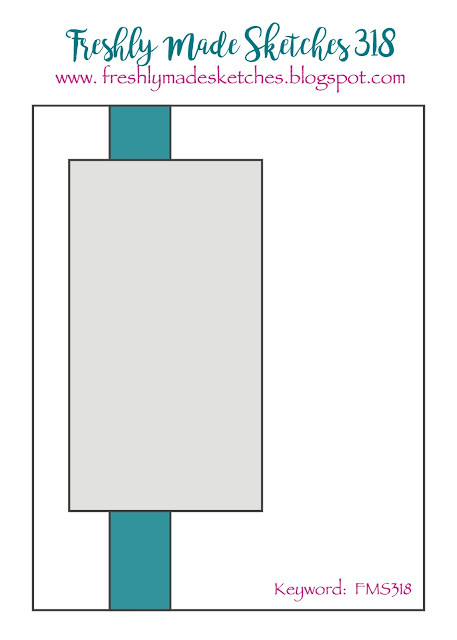 Your cards are fantastic!! 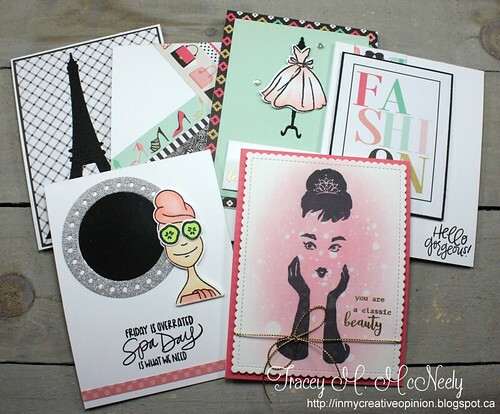 Tons of fun layouts and just so creative...the ink spray on the Audrey Hepburn card..brilliant! 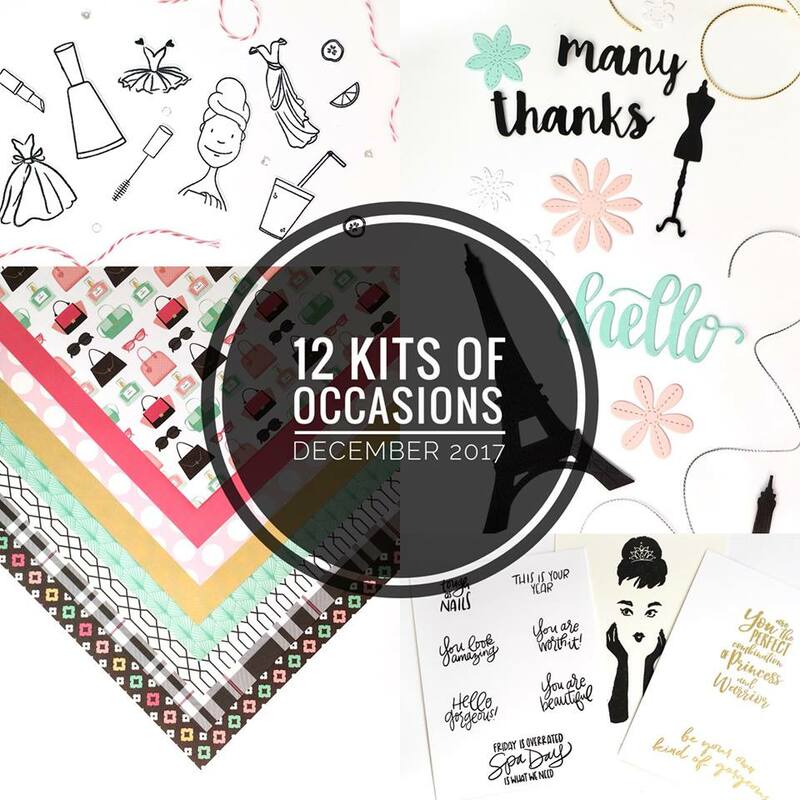 I absolutely will be using your cards as inspiration to use the rest of the supplies from my kit. Wishing you lots of healing and strength as you continue to recover this year! Hugs! 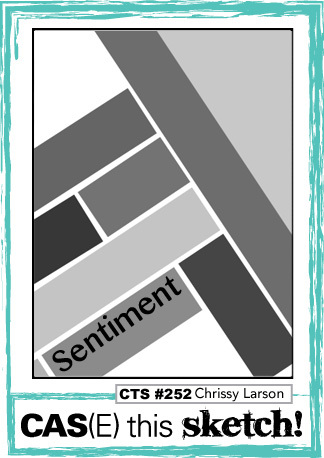 I love how you played with this collection...your crisp, clean designs are so striking and fun, and I love how you combined all of these challenges! Happy New Year! Oh my goodness! What an amazing kit! An unexpected surprise as EVERY single stamp in the kit was new to me! Where have I been living? I loved it! Youre cards are GORGEOUS! I love the pretty dress on the stand (another why didn't I think of that? moment) and the mirror on the spa day card! Thank you so much for putting this together for us!